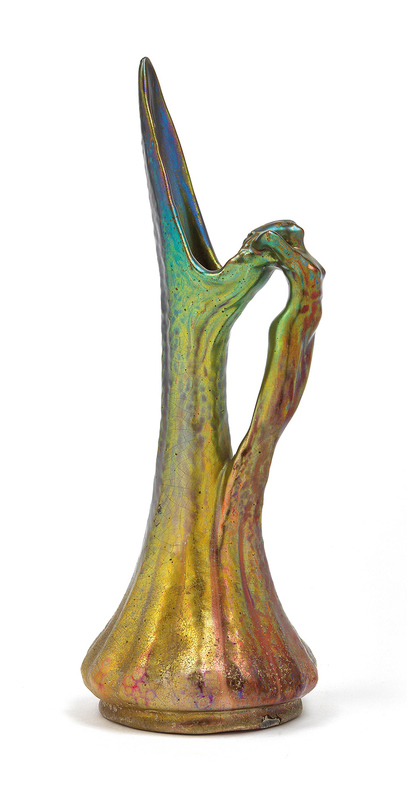 Jerome Massier did some incredible work with iridescent pottery. This example is one of the finest, with high Art Nouveau styling. Good size at 12¾" tall. Signed. Great condition, except for two chips on the foot rim. I will be sending the pitcher to my restorer to have them fixed. If you want to buy it as is, contact me sooner than later.